Beautiful baptismal suits for spring or autumn christening. 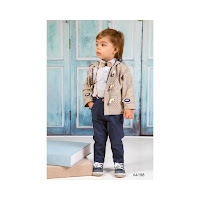 Both sets have blue cotton pants and white shirt with nice little patterns. 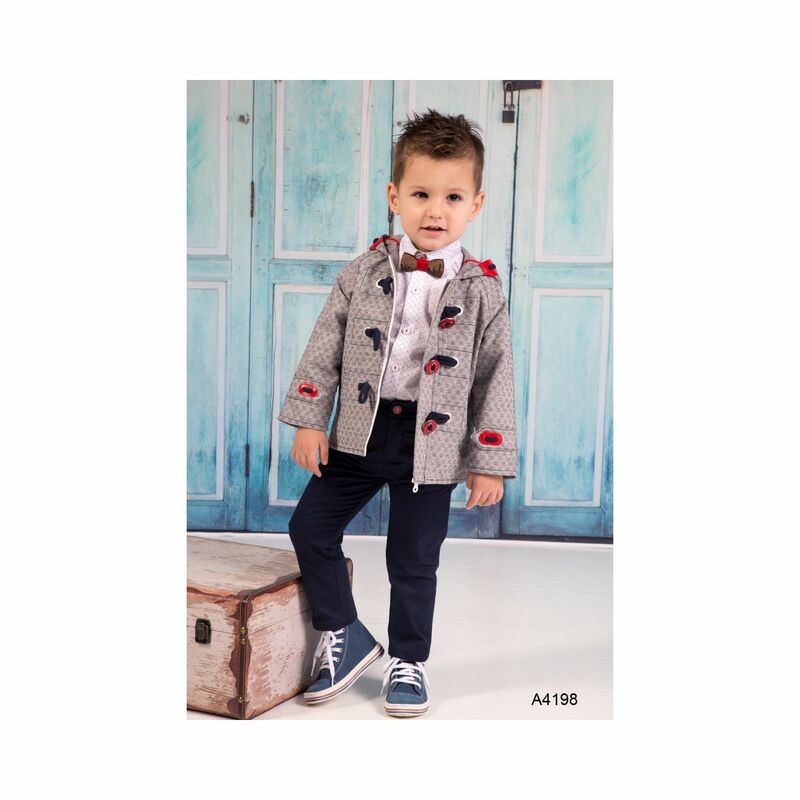 The jackets are in combination of gray and brown to choose the one that suits you, with very beautiful color details in their sleeves on their shoulders and their clasp that is in the Montgomery type. The sets are adorned with modern wooden bow heads. 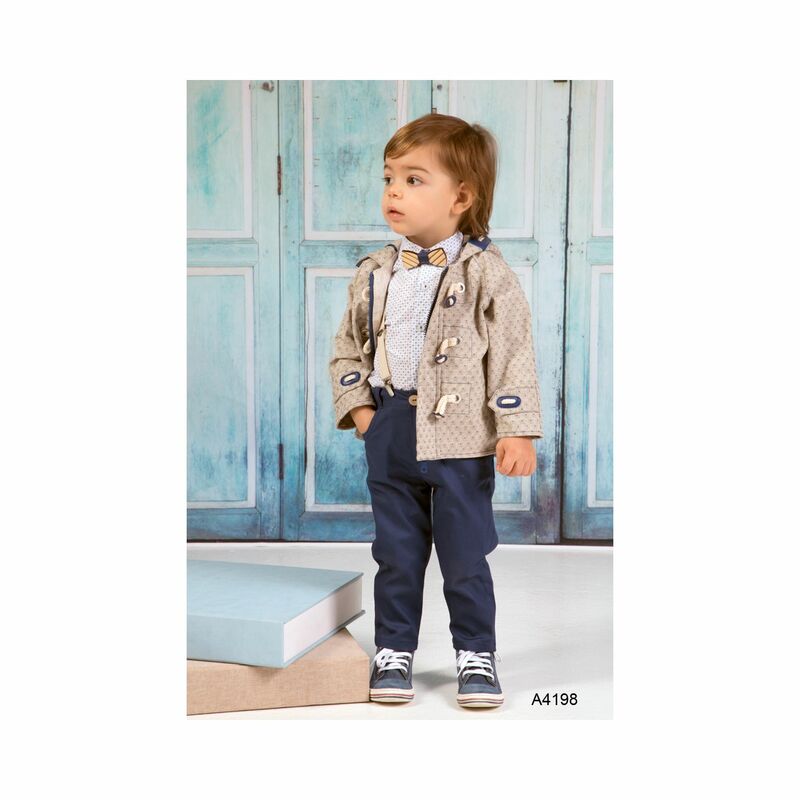 https://www.preciousandpretty.com/2018/07/autumn-baptism-suits-A4198.html Greek Wedding Favors|Orthodox Crowns|Stefana|Baptism Invitations Autumn baptism suits A4198 Autumn or spring baptism suit for boys in two different jackets color. Product #: Greek Wedding Favors|Orthodox Crowns|Stefana|Baptism Invitations_2241398200617942980 5 stars out of 5 reviews.